I am now part of a 25 year old ornament exchange group. Grandma Josie (Joey's paternal grandmother) invited me to join last year. 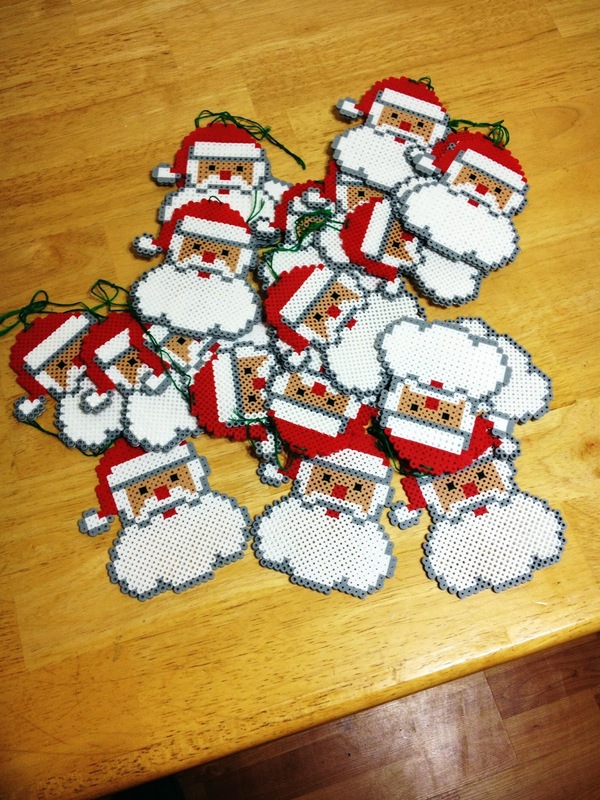 This is a group of friends and neighbors who get together every year to exchange homemade ornaments. I love crafts and I love Grandma Josie even more so I was honored to be asked. This year they had a "Santa or Elf" theme and after some thought I decided to go with a perler bead Santa. We had been seeing a lot of cool perler (also known as fuse beads) pieces at art walk so I wanted to try it myself. 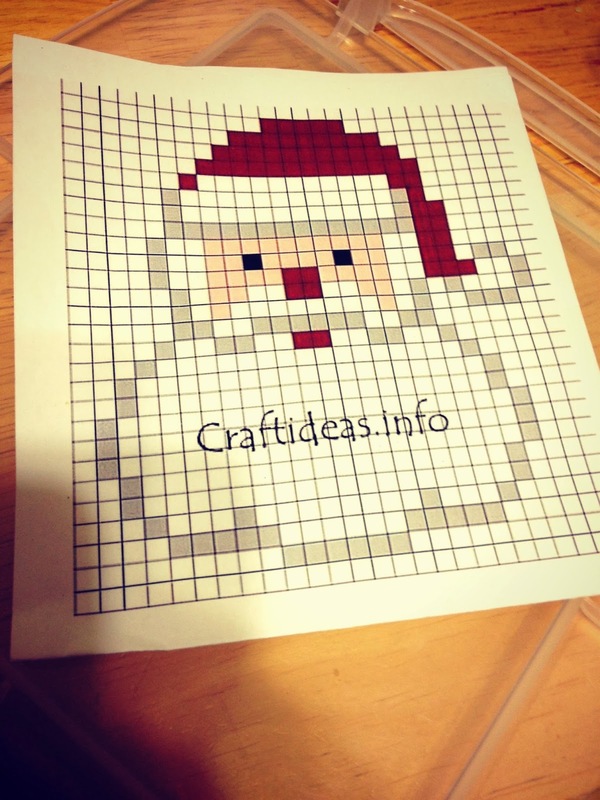 I did a quick google search for perler Santa patterns and came up with one I really liked. 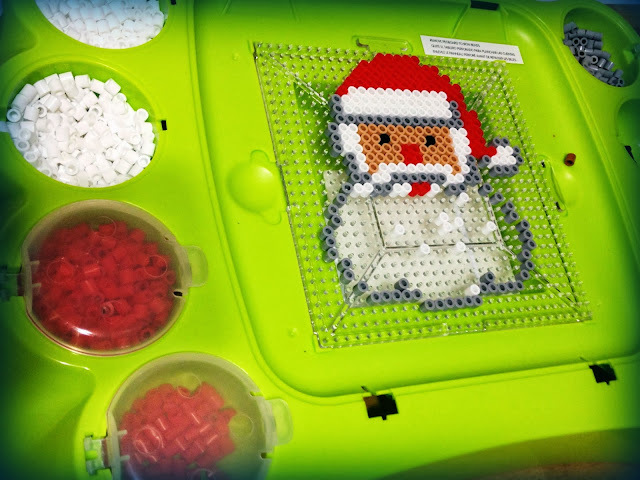 I found this great perler bead tray! It is a great tool for making these. A pegboard that fits inside. 8 different wells to hold beads and it even closes and will hold everything in place until you are ready to come back and finish. I had to make 20 of them. It took us about 30 minutes to put together and iron each one. 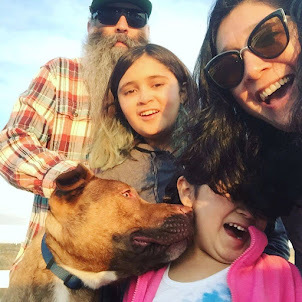 Joey helped out a lot. We both really liked making them. Almost kind of zen-like activity. This was such a fun craft project! Next year there is no theme, we can make any kind of ornament we want! I already have some ideas! !